Some events are just flat out cool – even when it’s burning up hot! 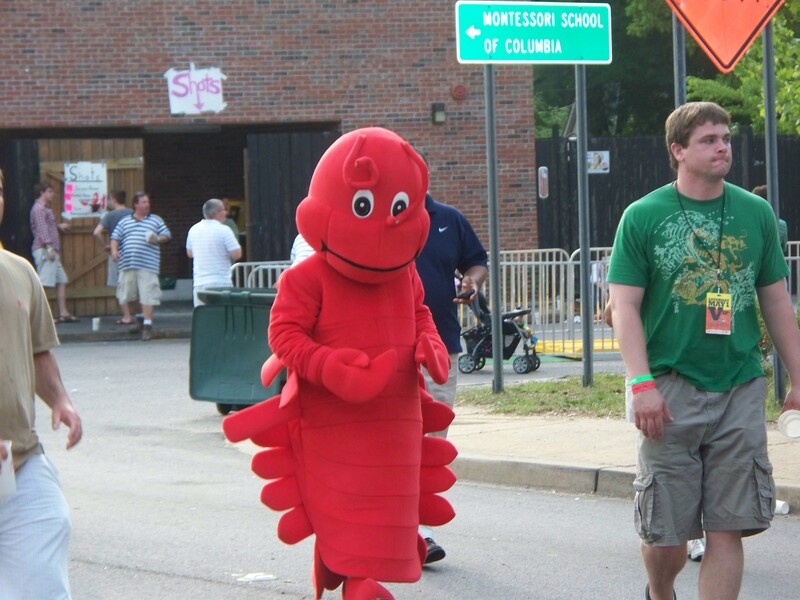 The Rosewood Crawfish Festival is one of those events. This year on the first of May, folks gathered in the Rosewood neighborhood of Columbia, South Carolina to celebrate that Louisiana delicacy crawfish. There was food – crawfish gumbo, crawfish e’touffe’e, and of course steamed crawfish – and we tried it all. There’s camaraderie among people sitting at communal tables popping the heads off crawfish and sucking down the delicious meat from the tail. It’s a decent amount of work for a little bit of meat, but it’s totally worth it – there’s a whole sub-culture of cool that goes with it. The group sitting next to us were college students eating their first crawfish – and they were very proud of themselves when they finished their plate of crawfish. 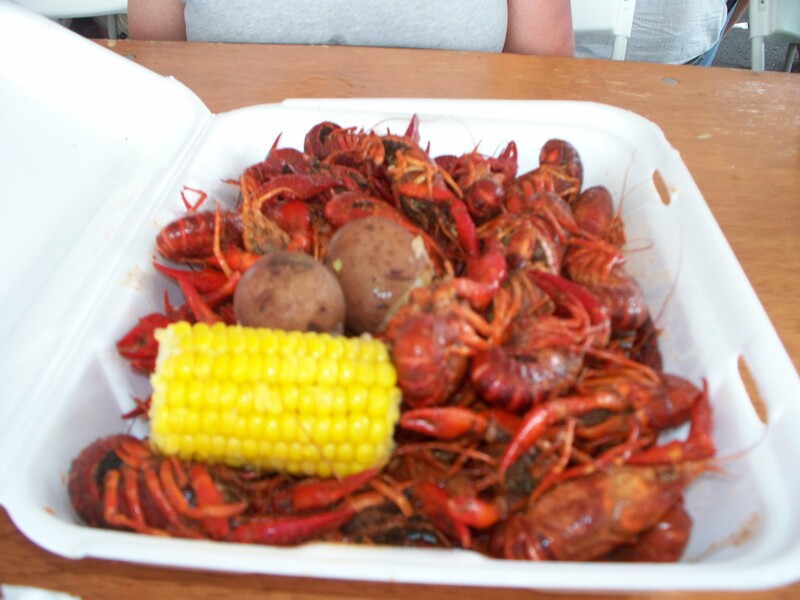 As for me, after the first ten or so crawfish, my mouth started to numb, so at least the heat of the crawfish didn’t bother me – heck, by the time we finished the plate, I wasn’t sure if I had lips or not. Great local bands, lawn chairs, children running around, some poor sole walking around in a crawfish costume, and pole vaulting are signatures of this event. I’m not sure how I’ve lived my life and never seen pole vaulting before. We stood there watching absolutely beautiful athletes from local high schools and the University of South Carolina gracefully running and lifting themselves high above us earth-bound humans in the ninety degree weather. Though, I have to admit to a catty comment about the unseemly lack of cellulite displayed by the women vaulters. I’d be more than happy to share some of mine. I have occasionally cooked crawfish at home, simply boiling the crawfish in water seasoned with Old Bay Seasoning. Delicious, but not nearly as much heat as those at the festival. Thanks to the Rosewood Merchants Association for one cool (and hot!) afternoon. We’re ready for next year! Thanks Christian! I appreciate the good words!